Since the beginning of time mankind has been fascinated by the moon. Every night of the 29 days between each full moon Earth’s only satellite presents a different image in the night sky. Throughout history the moon has been a source of inspiration for artists, poets and romantics. 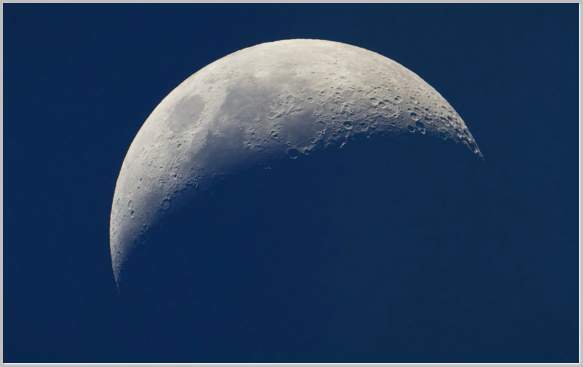 For millennia humans have used the different phases of the moon to keep track of time. The word “moon” comes from the Germanic “maenon,” meaning month. It has been used as a calendar of sorts to plan hunting, planting, reaping and storage schedules. Chinese, Celtic, Germanic, New Guinea and Old English are some of the cultures responsible for full moon names. The names are based on the actions and activities of nature – plants, animals and the weather – during a particular month. Native Americans followed the seasons using the phases and cycles of the moon, identifying each month by a different full moon name. The early European settlers copied this tradition, perhaps influenced by the Algonquin tribes who lived in New England west of Lake Superior, inventing their own names for the full moon. Below is a list of different names for the full moon in each month of the year: Most of the full moon names belong to the Native American tribes because they are the most widely known and used. Link on the names below for your monthly Moon Guide! Also the Medieval English name, describing the wolves howling outside the door in the cold night air. Anyone who wandered too far from home at night risked straying into wolf territory and becoming their prey. To some tribes this is the Ice Moon, warning hunters about ice falling from the trees at night. Other Native American names include Moon of Little Winter, Cold Moon, Moon after Yule, Old Moon and Quiet Moon. The Disting Moon appears on the runic calendar. Dating back to the Middle Ages, “disting” is a festival usually observed on January 25 to prepare for the return of spring. Some tribes used this name for January’s full moon, but generally it refers to the heavy snow falling in the forests and blanketing huge piles over the ground. February snows are usually the heaviest of all the winter months. Because it’s considered the last full moon in winter it is also called the Hunger Moon, a reference to the stores of food running low after months of cold weather. Other names include Storm Moon, Sun Moon, Trappers moon and Wild Moon. The Celtic name for this month’s moon is Ice Moon. During February reindeer shed their antlers, giving rise to the Germanic name Horning Moon. The pagan name Quickening Moon refers to the plant seeds and bulbs beginning to make their way to the earth’s surface at the end of winter. This very descriptive name describes the return of the earthworms. As the snow melts and the ground softens, evidence of their return in the form of tracks and faeces becomes obvious. Full moon names for this month reflect the signs of spring visible all through nature. The Crow Moon is named for the birds returning from their winter migration, while Crust Moon refers to the ice crusts that develop as snow melts and freezes. Some called this the Sap Moon, for the sap rising in the trees. As tree sap provides natural medicine to balance the blood and heal the spirit, the full moon in the third month of the year is called the Sugar Moon. Early settlers called it the Lenten Moon for the last winter full moon. March is a time of purity and the promise of new life as warmth returns to the earth, hence the Celtic name Chaste Moon to symbolise innocence and fruitfulness. Death Moon celebrates the end of the harsh winter months, as Plow Moon describes preparing the earth in readiness for planting food. Visually April is the month most associated with spring. Pink is one of the most abundant colours, symbolised by the appearance of wild ground phlox. Other tribal names celebrating this season include Egg Moon, Sprouting Grass Moon and Fish Moon. The English Medieval Seed Moon describes sowing the food crop seeds after all threat of winter has passed. The resultant growth gives the name Waking Moon, or Budding Moon, and the Celtic Growing Moon. The pagan name for April’s full moon is Awakening Moon. May’s abundance of blooming flowers lend their name to this full moon. It is said the flowers under this moon grow at night and dance in its honour. Other names relate to various tasks undertaken on the farm this month, hence the names Corn Planting Moon, Grass Moon and Milk Moon. Hare Moon refers to the fertility of not just hares but all animals in spring. May is named for the Greek goddess Maia, who is associated with midwives, motherhood and nursing. Some European cultures call May’s full moon Mother Moon. During this month strawberries are harvested all across North America. This name was ubiquitous to all tribes. Hot Moon perfectly describes the summer temperature prevalent during June, as Bright Moon describes the usually clear summer night skies. This moon is also known as Lovers’ Moon, Mead Moon, Moon of Horses and Strong Sun Moon. Early American settlers named the Rose Moon for one of their favourite flowers, which blossoms abundantly this month. The northern hemisphere’s longest day occurs during the summer solstice on June 21, and may be the origin of the name Dyad Moon. The ancient word “dyad” means “pair,” and probably refers to the equal importance of the sun and moon in June. Male buck deer start growing velvety hair-covered antlers in July. Some tribes called this Hay Moon for the time when the hay fields were harvested. Tribes living in the New England region used the name Thunder Moon because of the frequency of thunderstorms in July. Pagans considered this month’s moon to be very masculine, and used this period to complete very physical tasks on the farm – mending fences and farm buildings, building barns and trimming trees. Named for the fish from the Great Lakes region because this is the time of year when it is most abundant and easily caught. The late summer haze can give this moon a reddish hue, earning it the name Red Moon. Other tribal names are Green Corn Moon, Fruit Moon and Grain Moon as this is the time the crops are ready to harvest. In August the Dog Star Sirius is clearly visible, resulting in the name Dog Day’s Moon. Lightning Moon describes the more frequent nightly thunderstorms in August. This full moon is the closest to the autumn equinox, so the full moon gave a bright enough light for farmers to harvest their crops late into the night. Native American tribes named the moon for specific crops harvested this month, such as barley, beans, corn, pumpkins, squash and wine. The Singing Moon celebrates the end of the hard work undertaken to bring the crops to harvest. The pagans viewed their Fruit Moon as the time to prepare one’s mind and spirit to deal with the end of the year’s cycle of life. This time of year the fields have been harvested and the leaves begin falling from the trees. The deer are fattened and ready for eating. Hunting is easier because the forests are less dense. Blood Moon is an appropriate name for this last month before the onset of winter. Native American tribes called this moon Dying Grass, Seed Fall and Travel Moon, the latter name marking the observation of the migratory patterns of many animals. Some years this moon may also be called Harvest Moon, depending on whether September or October’s full moon falls closer to the autumnal equinox. If October’s full moon is a Harvest Moon, then September’s would be named for one of the crops or fruits to be harvested. Beavers and other animals are actively preparing for winter this month, so hunters would set traps to obtain a stock of fur before the cold and ice of winter grip the land. Other tribal names, Fog Moon, Frosty Moon and Moon of Storms, were reminders of the inevitable approach of winter. Medieval England called this full moon Snow Moon, similar to the Chinese White Moon, because the first snows of winter happened in November. The Celtic Dark Moon warns of the lengthening nights and the bitter weather to come. Mourning Moon is an acknowledgement of the end of another year of life on Earth. Sometimes also called the Long Night Moon as cold winter nights lengthen and the moon spends more time in the sky than the sun. Indeed, the longest night of the Northern Hemisphere year falls in December. Cold Moon is also the name used by the Celts. The Chinese name for this month’s moon is Bitter Moon. The early settlers used the names Moon Before Yule and Christmas Moon. Oak Moon, Moon of Popping Trees and Deer Shed Their Horns Moon are representative of nature’s actions in December. The Southern Hemisphere’s seasons are completely opposite to those in the North. Many of the names given to the full moon in each month relate directly to natural activities in the same season. For example, the Southern Hemisphere’s December’s full moon names are the same as the Northern Hemisphere’s June names. In years to come civilisation will undoubtedly create more names for the mystical, magical illusion of the full moon. The current names have withstood the test of time, and will still be a part of many different cultures for the foreseeable future.